Active Day Camps are able to offer your child a fantastic custom-made birthday party, taking all the stress away from parents to let them enjoy the day too! We are able to offer all sport-themed parties, from Football to Cricket, Tennis to Archery and Multi Sports including Dodgeball and Parachute Games. We also run Art themed parties consisting of t-shirt, mug and bag designing. We are able to offer and exclusively book a number of different indoor and outdoor venues from North - West London - or if preferred - we come to you at a venue of your choice. Our most popular venue, UCS Active, is exclusively available to Active Day Camps and must be booked well in advance! Active Day Camps is proud to offer the Bronze, Silver or Gold party package. If you're a party-planner by nature and enjoy bringing the decorations, food and party bags with you, Bronze lets Active Day Camps take care of the venue and party activities. Silver is your step up - we provide the Bronze package, plus lunch boxes, a Birthday Banner, a number Balloon and party bags. Fancy going for Gold? Turn up, sit back and relax whilst we take care of the entire party. Gold gets you a fully themed party of your choice - from Paw Patrol to Disney - complete with lunch boxes, Birthday Banner, helium Balloons, Number Balloon, themed tablecloths, cutlery & napkins, cheese & vegetable platters with dips for parents, and the coolest party bags around! 1 hour - £160 for 10 children; £210 for 20 children. Price includes Venue Hire, Active Day Camps party staff, all equipment + medals for all children. 2 hour - £220 for 10 children, £320 for 20 children. Price includes Venue Hire, Active Day Camps party staff, all equipment + medals for all children. 1 hour - £170 for 10 children, £220 for 20 children. Price includes Venue Hire, Active Day Camps party staff, & all equipment. 2 hour - £180 for 10 children, £330 for 20 children. Price includes Venue Hire, Active Day Camps party staff, & all equipment. *Prices based on Bronze party package (entertainment, staff, venue hire). Please contact us for bespoke pricing on Silver and Gold options. Due to incredibly high demand, we recommend booking your party at least 2 months in advance. Please feel free to contact us at enquiries@activedaycamps.com or on 07739388553 to personalise your party package! "My son's birthday party was a blast. We got to sit back and relax whilst Rebby and his team ran a World Cup football competition, soft-archery and dodgeball games. 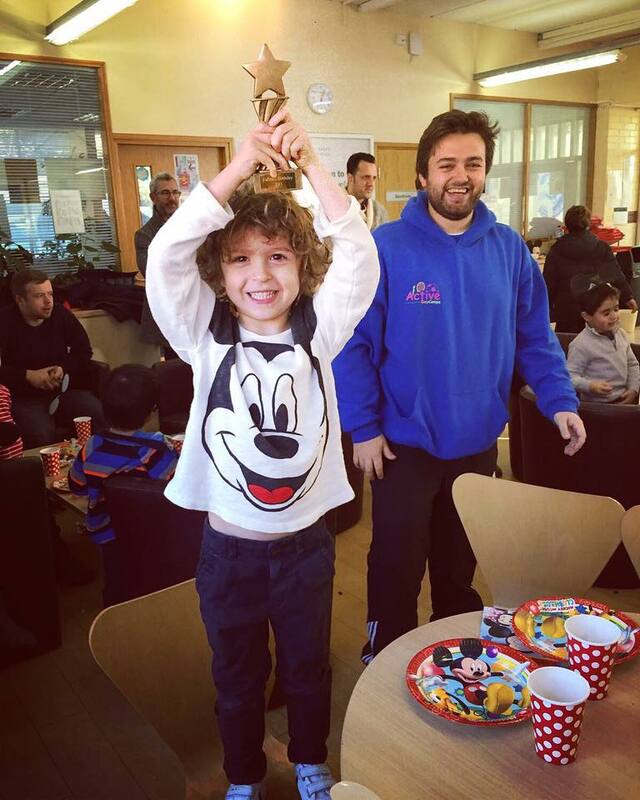 All his friends left happy with a medal and the birthday boy got a trophy and a football." - UCS Active Party, February 2018.